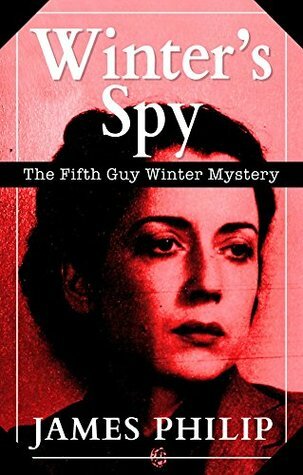 The fifth full-length installment of the Guy Winter Mysteries series, Winter's Spy is set in November 1940. In Winter's Spy, the Mystery Man is under arrest, suspected of having been an enemy agent for his whole career in the Metropolitan Police and throughout all his years working for MI5. Dammed by the evidence of a German spy whom he encountered in Paris before the war, it seems as if he must literally fight for his life. Then, transported to Camp 020, MI5’s South London interrogation center, and confronted by his accuser, the Mystery Man begins to suspect that nothing is quite what it seemed. Is he trapped in a web of deadly intrigue? Does a beautiful spy hold the key to the greatest secret of the war? And can MI5 and the Metropolitan Police suspend hostilities long enough for Guy Winter to finally unearth the key to unlock the Ripper case? Another exciting story in the Guy Winter series. It follows on from book four, Winter's Return, and indeed threads from earlier books are pulled together to answer long awaited questions. It's a tangled web of intrigue, murder and espionage. It's quite an intricate story line and I got a sense of how complicated and dangerous the political scene was at the time for those involved in the war effort and espionage business. You do need to be familiar with the characters and the story lines of previous books. I recommend reading the series in order and in its entirety. Again the narration is excellent from Melanie Fraser. The accents were very well done and the subtle sound effects were very effective in setting the scenes and making the experience of the story more dramatic.